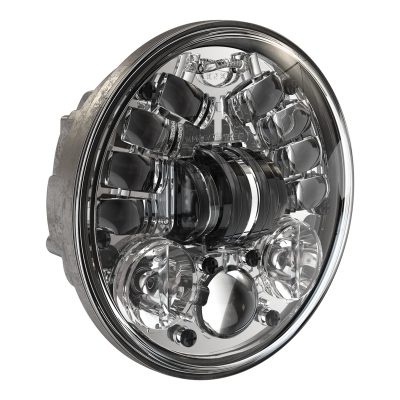 Like our Model 8790 Adaptive, the Model 8690 Adaptive LED motorcycle headlight dynamically fills in the darkness with bright, white light providing additional illumination and enhancing visibility while cornering. 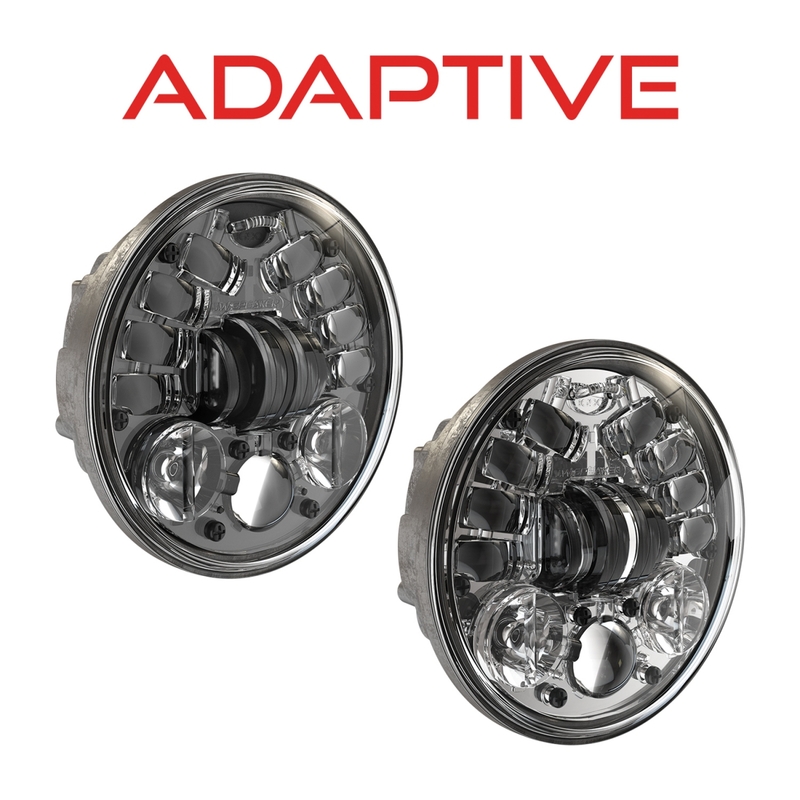 The Adaptive Series™ uses proprietary technology and on-board sensors to calculate bank angles on a real-time basis, automatically directing the light array up or down as the motorcycle leans. This additional illumination fills in the gaps to the left or right of the motorcycle that traditional headlights can’t. 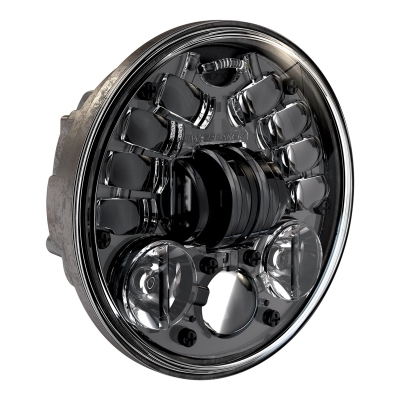 The Model 8690 Adaptive utilizes high-quality LEDs, ComfortLite™ high beam optics and adaptive technology to produce a superior beam pattern and dramatically improve rider comfort and safety. Heavy-duty, die-cast aluminum housing and state-of-the-art LEDs not only deliver premium performance, but also give a bike a truly unique look!